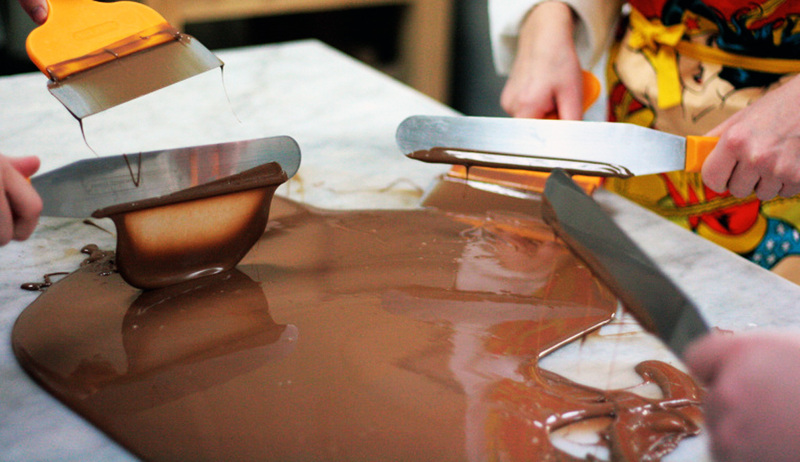 It might sound complex, but chocolates are surprisingly easy to make by hand. The trick is to start with a basic, good quality dark chocolate, which you can then add your own flavourings to. As an example, you can make liqueur truffles by melting the chocolate, adding the liqueur and a touch of cream for the filling. Roll the resultant mixture into balls and coat with cocoa powder or more melted dark chocolate. Place in the fridge to set and you’re done! You can, of course, use milk or white chocolate, add nuts or fruit or start from more basic ingredients. Cooking websites like the BBC Food site will give you plenty of ideas. Why is marble used in chocolate making? Chocolate melts at approximately body temperature, which makes it difficult to work with. Marble has excellent thermal properties which helps keep chocolate cool while remaining malleable. The same effect is also used to help chefs make pastry. A chilled marble surface can even be used to set chocolate, for example for elaborate decorations. Professional chocolate makers use marble for exactly these reasons, and you’ll see marble slabs and workspaces in high-end chocolate shops as well as in training establishments and competitive areas, such as the Museum of Chocolate in Barcelona. Does it have to be marble? No. Marble worktops or slabs have been traditionally used by confectioners, but you can get the same effect with any stone worktop, including granite and processed stones like Okite and Quarella. All stones have a similar thermal mass which lets them wick away heat from your hands and the chocolate. As you’ll know, stone typically feels cool to the touch, unless it has been in direct sunlight. It’s this effect that is so useful for chocolate making. How can I chill my marble worktop? In most cases, the natural thermal properties of marble will be enough to keep your chocolate cool enough to work with. However, if you need to chill it further, ice cubes in a plastic bag can be used. Marble worktops are water, heat and cold resistant so you don’t need to worry about leaks, but you don’t want to water down your chocolate. 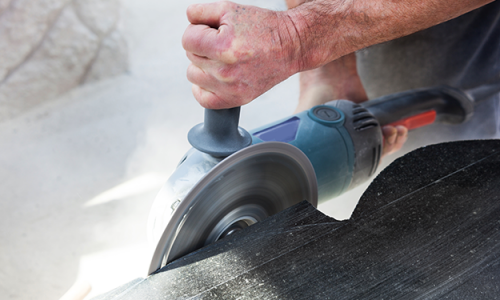 An extreme temperature shock can cause damage to stone, but it’s unlikely in the home. Marble worktops are sealed, rendering them non-porous and making them ideal for food preparation. A sealed stone worktop leaves no place for germs and food particles to hide. As long as you clean your worktop regularly, it will be perfectly food safe.